William Nylander of the Toronto Maple Leafs isn’t the first restricted free agent to sit out during contract talks and he won’t be the last. However, he could be one of the very few who miss an entire NHL season because of it. The 22-year-old forward has until December 1st to sign on the dotted line or he’s ineligible to suit up for anybody in the 2018/19 campaign. 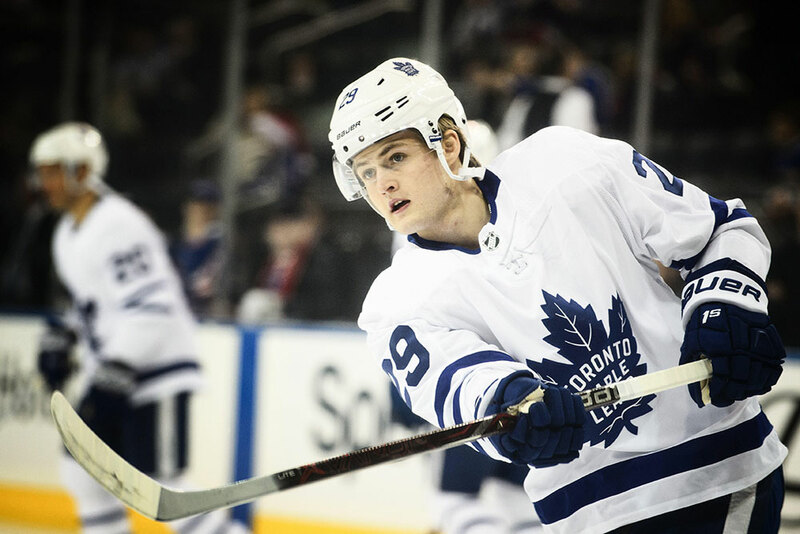 Nylander’s entry-level contract expired in June and he still hasn’t been able to agree to terms with the Maple Leafs new general manager Kyle Dubas. It’s the biggest saga in Toronto at the moment and actually has been since the season faced off. The ongoing soap opera could come to an end minutes after you read this or it may drag on until the Dec. 1st deadline. There have been all sorts of rumors about how much Nylander is asking and how much Dubas has offered, but nobody knows the facts for sure. Still, Leafs fans are divided over the haggling and have basically taken sides since day one. They’re blaming everybody from the player to his agent, Dubas, Nylander’s father Michael and even Leafs’ president Brendan Shanahan. Many fans remember Dubas boldly stating to the media in the summer that the Leafs can and will sign all of their young star players to new contracts regardless of what the salary cap is. Well, the fact is they’ve done a brutal job of it so far as Nylander, Auston Matthews, Mitch Marner, Jake Gardiner and Kasperi Kapanen all have to be signed before next season and not a single one of them has inked a new deal. Nylander’s is the most pressing of the bunch as the others don’t need to be signed until next season. Matthews, Marner and Kapanen will be in the same boat as Nylander as they’ll be restricted free agents while Gardiner will be unrestricted. It’s the organization’s own fault that it’s in this mess as contract negotiations should have begun with Nylander long before they did. They’re now coming down to the wire and unless another club puts in a last-minute offer-sheet to Nylander or he’s traded, then the Leafs are out of luck this season. Dubas continues to insist they don’t want to trade the offensively-talented youngster, but they may not have a choice. There are plenty of teams interested in him including the Carolina Hurricanes, Los Angeles Kings and Florida Panthers. But the longer the impasse drags on the less leverage the Leafs will have in trade talks. In addition, since Nylander hasn’t agreed to a deal with the Leafs, there’s no guarantee he’ll come to terms with anybody else if he’s traded. If he is traded, it’s widely believed Toronto is looking for a top-four defenseman, especially if they can’t hold on to Gardiner after this season. The Leafs may wait until the last minute to offer Nylander something he likes though since the later he signs, such as November 30th, his salary-cap hit will be more favorable for the team. The biggest hit will be the first year of the contract and that’s fine with the Leafs since they have plenty of space this season. Nylander’s salary cap would then decline for the remainder of the deal. But while this works for Toronto, it may not be an ideal situation for teams wanting to trade for him if they’re already close to this year’s cap. Of course, if Nylander asks for a lower salary in the first year of the contract and a large signing bonus to make up for the games he’s missed, it will hurt the team’s salary cap situation starting next year. Since it’s unclear what actual numbers have been bounced back and forth between Dubas and Nylander, many fans feel he should be happy with a contract similar to David Pastrnak of the Boston Bruins. It’s been rumored the Leafs have offered $6 million a season and Nylander is asking for $8 million. As far as Pastrnak is concerned, his current contract is worth $6.66 million per season for six years. The Bruins’ winger enters the equation since his stats are quite similar to Nylander’s. Without getting into all of the advanced Corsi numbers and secondary statistics, Nylander notched 135 points in 185 games during his entry-level contract with the Leafs and another eight in 13 playoffs contests. This includes back to back seasons of 61 points in the last two years. Pastrnak, who’s the same age as Nylander, posted 113 points in 172 games and four points six postseason outings before signing his new contract in 2017. On the other hand, forward Leon Draisaitl of the Edmonton Oilers scored 137 points in 191 games with 16 points in 13 playoff games in his first three seasons and signed an eight year deal in 2017 worth $8.5 million a season. The Leafs may have inadvertently shot themselves in the foot by signing free agent center John Tavares to a seven-year deal worth $77 million this summer. It’s assumed Matthews will now want more than that when his negotiations begin and Marner will be looking for between nine and $10 million a year. It’s understandable if Nylander balks at an offer of $6 million as it would be hard to justify paying him three to four million less than Marner per season. The Leafs have gotten themselves into this sticky salary-cap situation however and now it’s up to them to solve it… and preferably for everybody involved, they can do it before December 1st.